The fifth season of "High Stakes Poker" made its debut on GSN earlier tonight. 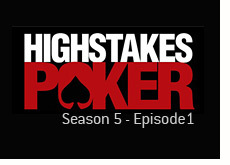 "High Stakes Poker" is extremely popular and is widely regarded as being the best poker show on television today. However, there was a period of time in which the future of the show was very much in doubt. GSN declined to renew their option for the World Poker Tour television series, and they weren't filming any new episodes of "High Stakes Poker". It seemed as though "High Stakes Poker" might be dead in the water. However, the network announced last year that the show would return for its fifth season, and the poker world breathed a sign of relief. There are a few small changes this year. First off, the filming of the show is taking place at the Golden Nugget. 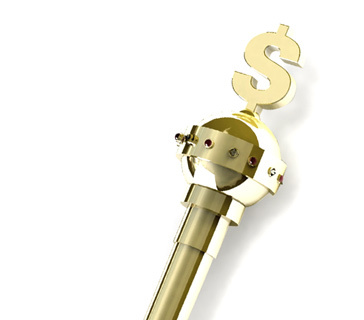 Second, there is a minimum buy-in of $200,000 this year, with blinds of $400/$800, and antes of $200. Tom Dwan was the center of the action in the first episode, as well as being the center of most of the conversations. David Benyamine looked as though he had played a 96 hour session prior to arriving at the table. The first pot of the new season was a 77k pot that was won by Tom Dwan. The biggest pot of this episode came in a hand between Tom Dwan and Peter Eastgate. The board read 6-5-3-6-K. Dwan bet nearly $60k on the river holding 7-6, and Eastgate chose just to call with A-6. Dwan couldn't believe that Eastgate had just called with A-6, and Eastgate was shipped the $175k pot. The final hand of the episode was a sizable pot that involved Daniel Negreanu and Peter Eastgate. The board read 2-2-K-J-8. Negreanu held J-2 for a full house, while Eastgate held A-K for Kings and Twos. Eastgate led out with a bet on the river and Negreanu check-raised him. Eastgate decided to throw his hand away, and Negreanu took down the pot. Benyamine and Negreanu both won a few decent-sized pots. Sahamies was involved in one medium-sized pot, which came in a hand against Tom Dwan. Dwan flopped a set of twos on a flop of 3-2-Q, while "Ziigmund" held 6-3 offsuit. After a sizable river bet from Dwan, "Ziigmund" folded his hand. Doyle Brunson, Barry Greenstein and Eli Elezra didn't really get involved in any big hands in the first episode. However, I have heard from multiple people that Greenstein gets involved in a couple of monster pots this season. One thing is for sure - it's nice to have "High Stakes Poker" back on the air. If you haven't seen the episode yet, I have included it below.